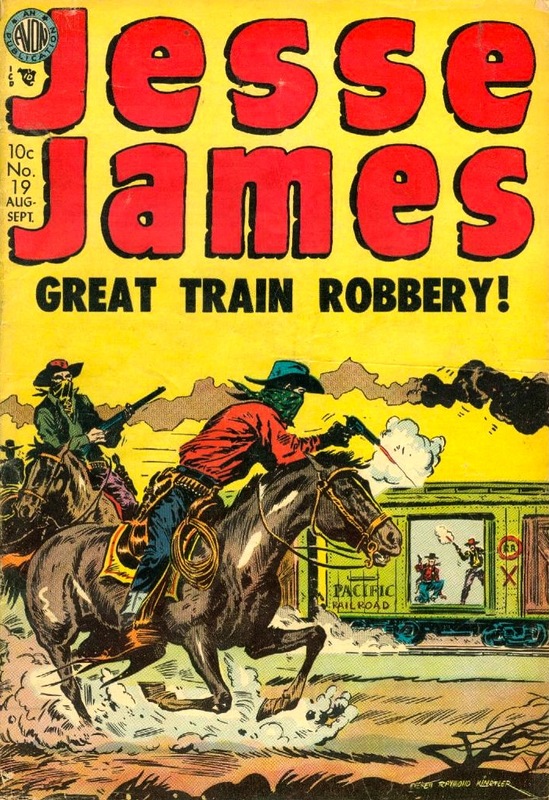 Comics | 50 Westerns From The 50s. John Severin, 1921 – 2012. Just saw that comic artist John Severin has passed away at 90. 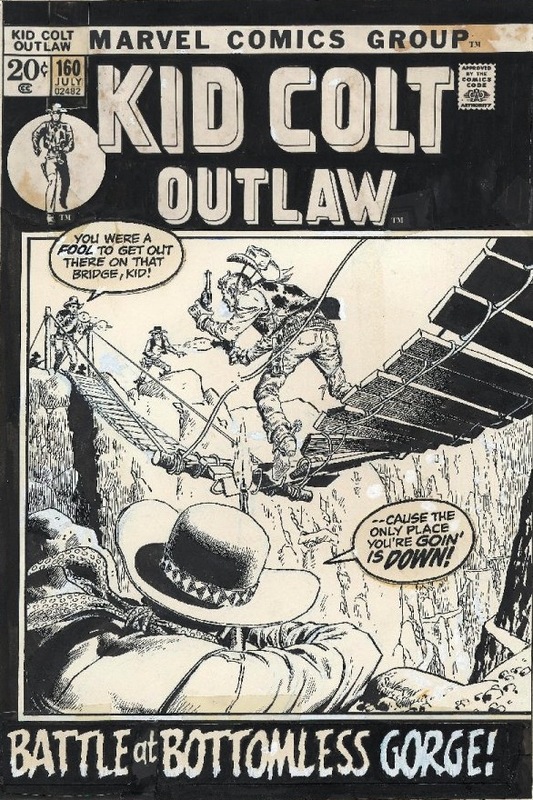 Among his fine body of work was Marvel’s Kid Colt Outlaw, which I read religiously. 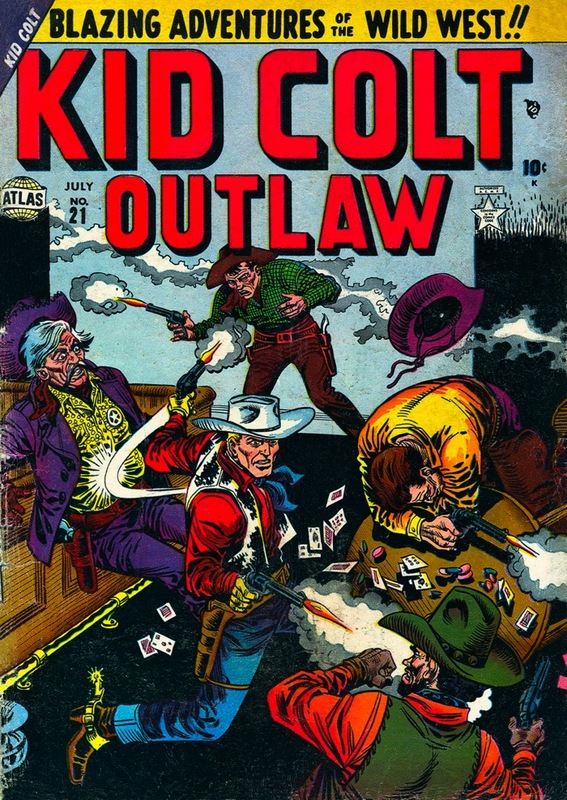 A 50s Western of a different sort: Kid Colt: Outlaw #21 from Atlas Comics, 1952. By the time I was reading these in the late 60s and early 70s, they were part of the Marvel Comics empire — along with other great Western titles. 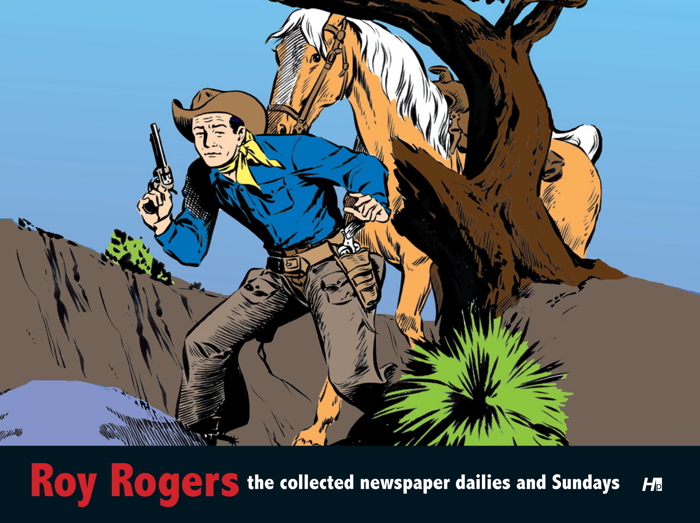 Book Review – Roy Rogers, King Of The Cowboys: The Collected Dailies And Sundays. I’ve had a review PDF of the upcoming Hermes Press book Roy Rogers, King Of The Cowboys: The Collected Dailies And Sundays for a couple weeks now. It’s taken a while to absorb all that’s in there since, 1) a book of newspaper strip reprints is not your normal sit-down-and-read-it type of book, and 2) there’s a lot of great stuff in there to really be savored along the way. 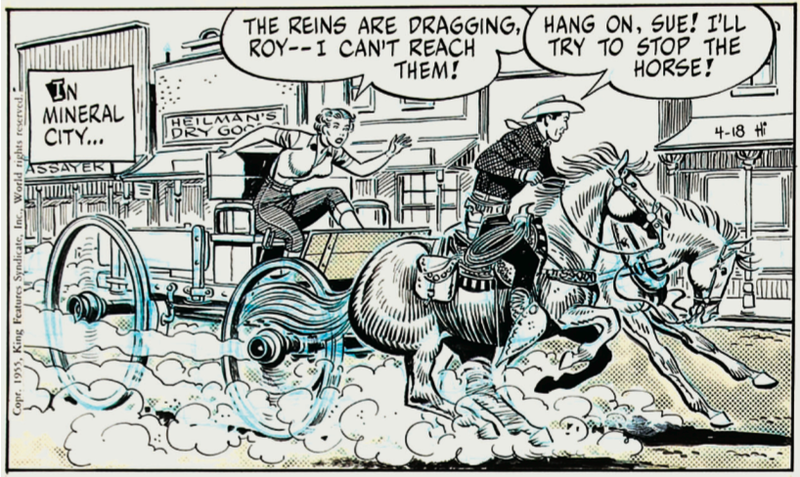 Prior to cracking open this book (actually, clicking on the PDF file), my exposure to the Roy Rogers newspaper strip was limited to chancing upon a piece of original art here and there — similar to the image above, which appears in the book. I’d never actually read a complete story. I was eager to see how the strips compared to the Rogers comic books (often written by the excellent and prolific Gaylord DuBois), which I’ve always enjoyed. I was expecting good things. Turns out, the strips are great. The stories are well put together, the art’s outstanding, no matter who’s doing it — Mike Arens, Pete Alvardo, Alex Toth (who ghosted for Arens for a short time, below) or Tom, Chuck or Bob McKimson. You know, something that has always impressed me about newspaper strips is how the first panel each day has to remind the reader what’s going on, and how the really good ones will manage to do that without throwing that panel away. Such story construction is incredible. And the book, it’s a pretty incredible thing in and of itself. Just the fact that it exists blow me away. If my assumption, that the stories selected are a representative sampling of the entire 12-year run, is correct, then I can’t wait for the next volume. If this is seen as a one-shot deal, then Hermes Press is to be commended for picking so many cool stories. I knew practically nothing about the strip as I began the Introduction by comics historian Tim Lasuita, but was soon armed with all the history (of the strip and its artists) necessary to really appreciate the stories that followed and understand the strip’s context (Roy Rogers as pop culture phenomenon). The final section, on Alex Toth’s involvement in the strip’s final months, helps illustrate the link between the comic books and the strips — and helps explain why they were all so good. Kudos to the folks at Hermes Press for unearthing the strip to begin with. The level of attention this book demonstrates is really going above and beyond. The reproduction and design are excellent — from cover to cover, from the strips to memorabilia. This is a first-class presentation, and Roy deserves nothing less. Postscript: Looking at the News & Observer this morning, I came across the obituary for Pamela Elton Jenks (June 1, 1949 – June 21, 2001). 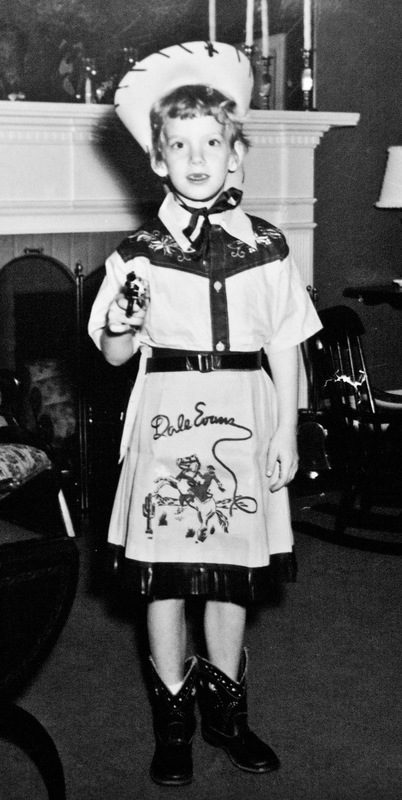 I didn’t know Miss Jenks, but the photo that appeared in today’s paper — a young Pamela in her Dale Evans outfit, right — was wonderful. My condolences to her family — and to Miss Jenks, Happy Trails. The great illustrator has passed away. More here. 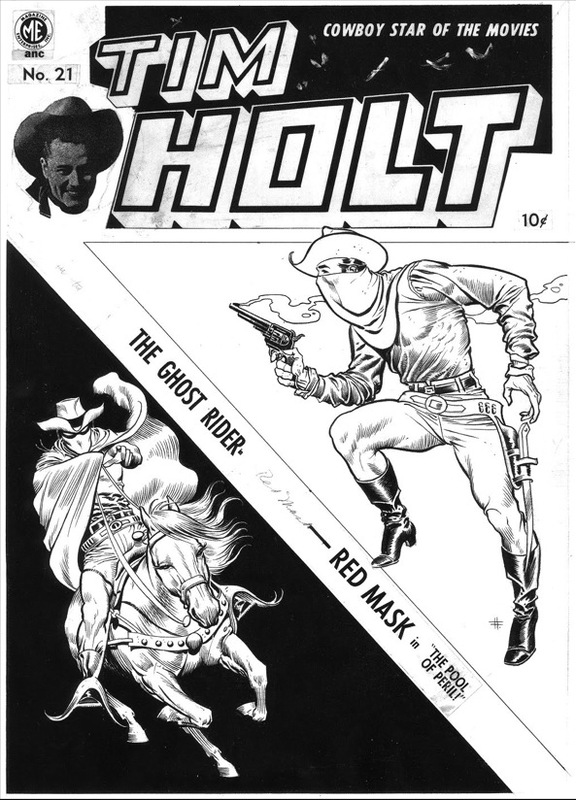 His Tim Holt/Ghost Rider stuff knocks me out. His one-sheet for The Gauntlet (1978), too.